The Chicago Bears are pitching in to help people whose homes were destroyed by tornadoes in northern Illinois earlier this month. 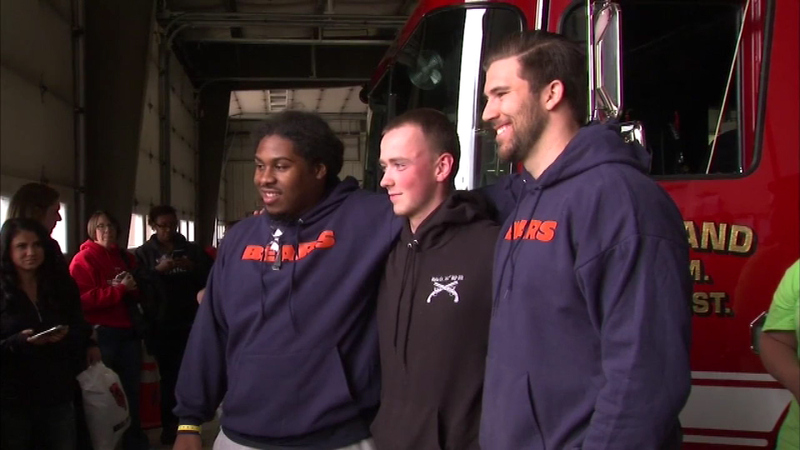 KIRKLAND, Ill. -- The Chicago Bears are pitching in to help people whose homes were destroyed by tornadoes in northern Illinois earlier this month. The team is making a $100,000 donation to the United Way of Rock River Valley and Friday players Blake Annen and Will Sutton visited the Kirkland Fire Department. They signed autographs and passed along a jersey signed by Brian Urlacher to replace one a young man lost in the tornado. "Talk to them, take a few pictures, kind of whatever they need to help them just kind of be able to get back to what is normal and not wake up and think about that every day," Annen said of the visit. Annen and Sutton helped cleanup debris before their firehouse visit.